at the local xerox-wallah. 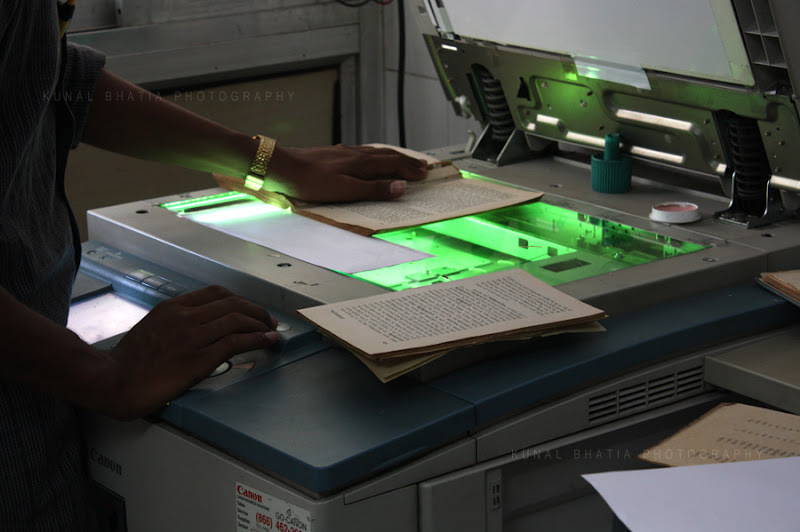 the correct term would be photo-copier, but in india the 'xerox' company's name is generified to the act of photo-copying. wallah is a common suffix in hindi applied to all sorts of characters - vendors, handymen etc. so we have a chabi-wallah (the guy who makes spare keys), phal-wallah (a fruit seller), band-wallahs (a music-band group), photo-wallahs at many tourist places and so on. beautifully done with well defined shades! tnx for explaining it further.